I thought everyone liked her. What's surprised me, since this profile of Tanya Plibersek's been published, from the comments it's attracted it seems this is not necessarily the case. As Peter Dutton might say, "Good Tanya". As Peter Dutton might say, "Bad Tanya". This was a profile that appeared in the Canberra Times . . .
We’ve had the election and the results are in. This means we should be able to determine – exactly – who is our most popular politician. The difficulty is, however, that there are different ways of measuring popularity. Is the person with the biggest margin in the safest seat really better liked than someone who received a huge swing towards them at the poll? Psephologist Peter Brent’s come up with a test that I reckon is pretty good. He thinks that if enough people vote for one party in the Senate, but the candidate of another party in the House, that offers a pretty good indication they feel happy with their local MP. He’s compiled a weighted list to reflect this and the results instinctively make sense. Number two, for example, is Malcolm Turnbull. That’s because more than 21 percent of the people who voted Labor or Greens in the Senate still plumped for him in the House of Representatives. In other words, he's attracted votes the party wouldn't have received if someone else was the candidate. So who, using Brent’s measure, is the most popular politician in Australia? According to him there's no doubt. Come on down Tanya Plibersek, Labor's deputy leader. I caught up with her on the tarmac at Canberra airport, the only chance I'd had to meet her. Plibersek’s a busy person, but she demurs when I put the proposition that she's our favourite politician to her. Plibersek’s been working hard; too busy to speak to me for this profile. It's just good fortune – we've been travelling on the same plane – that has given me any chance to speak to her at all. It's understandable that she's been busy. Both of Labor’s leadership candidates, Bill Shorten and Anthony Albanese, were keen to have her on their ticket as deputy. She agreed to serve with whoever won although in the end, this turned out to be much more for plus for Shorten. He was, after all, a right-wing candidate. She provided balance by bringing in left-wing votes. Because Shorten came from Melbourne and she was from Sydney, Plibersek offered balance. Albo on the other hand was, like her, a left-winger from the harbour city. No diversity there. There were certainly a couple in his camp who quickly came to believe that her defection ended up as the critical factor that stymied his bid for the leadership. Without her, Shorten would have been toast and Albanese could have been the party's first left-wing leader. But to really understand why some people might feel she betrayed him by agreeing to serve as Shorten’s deputy, you need to turn to history. The point is it was Albanese who ensured she entered Parliament in the first place. Plibersek had only just turned 29 when she won pre-selection for the plum seat of Sydney at the end of 1997. Labor had always held this seat: whoever held it could look forward to a long and rewarding political career. Plibersek’s opponent was a dynamic 36-year-old criminal barrister, Chrissa Loukas. She'd already managed to lock-in not merely the support of former PM, Gough Whitlam, but also that of a previous state premier as well as the former head of the union movement. Albanese’s support was utterly critical in ensuring the young staffer emerged victorious. It's probably worth noting, however, that he may also have had his own reasons to stifle any prospective competitors to his own position as a future faction leader. 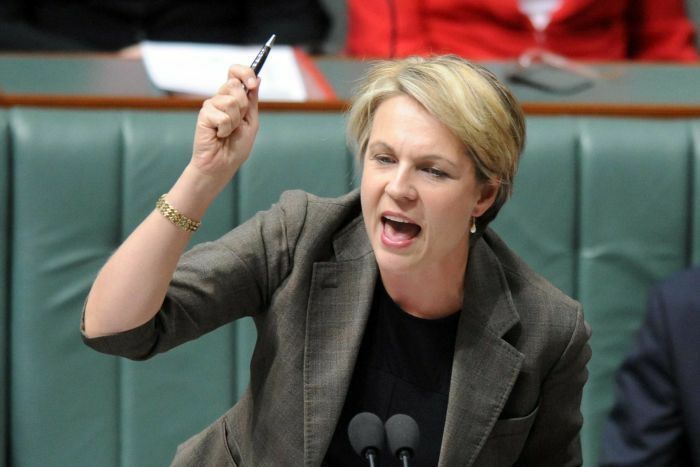 It didn't take long for Plibersek to demonstrate her political ability. Her staff love working for her. The only criticism raised is one of application. After studying communications at the University of Technology, Sydney, for example, she applied for a cadetship as an ABC journalist. Two other graduates from her year received jobs with the Corporation and are now foreign correspondents. Both, however, completed a small amount of extra, part-time work with Triple J while they studied. She didn’t, preferring political engagement instead. That, however, led to its own career culminating, earlier this year, as Health Minister. During the last election campaign Plibersek emphasised the “best chance of a decent health system is under Labor". Her words were always responsive and reassuring, although new Minister Peter Dutton obviously feels trawling through her period at the helm will provide political advantage. As Parliament resumed for its initial question time last week, Dutton took to his feet to touch on the funding of cancer treatment. Plibersek quickly lashed out. Dutton took the opportunity to score a point. “Very sensitive, Tanya, very sensitive", he responded. Promptly jumping up Plibersek twice insisted, “he [Dutton] should tell the truth in the Parliament". But that’s not an objection and was quickly dismissed. Although any politician claiming misrepresentation receives an opportunity to put their side of the case, Plibersek failed to use the rules to protect herself effectively. No one doubts the intelligence of Labor’s Deputy. 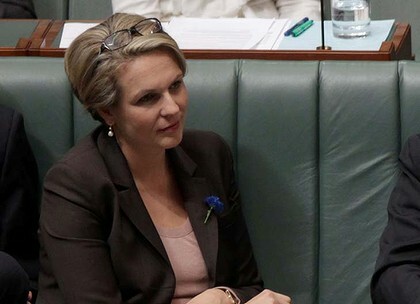 It's obvious that, with all her experience, Plibersek has a great career in front of her. Nevertheless, if the party is to survive opposition and remake itself into a plausible government, it will need to ensure it makes every post a winner. That can't be done without changing mindsets. It's now no longer sufficient simply to proclaim your definition of the truth and expect others to believe it: that right has passed to the government. Oppositions have to persuade. They need to make the effort to convince people that they offer a better alternative. That requires hard graft – even down to the way you sit in parliament. Nothing comes for free. Bill Shorten seems to quite genuinely believe that he can make this a one-term government – the first since 1932. His deputy undoubtedly believes the same. I know someone who went to school with her.... not a fan though. On another subject your former comrades at the ABC seem to be incredibly well paid according to the media reports. What happened to the image of the poor ABC journalist, ethical, investigative and underpaid ? Seems to be mythology ! This is a taxpayer funded entity not the 9, 7 or 10 networks. Quentin Dempster, who has been employed by the ABC for 20 years and currently hosts NSW 7.30, makes $291,505. ABCTV Breakfast host Virginia Trioli earns $235,664, while her co-host Michael Rowland is lagging behind by $84,000, earning just $151,006. ABC's online political editor Annabel Crabb is on $217,426. A response next Tuesday . . .